Item number Sf1083 from the MOA: University of British Columbia. 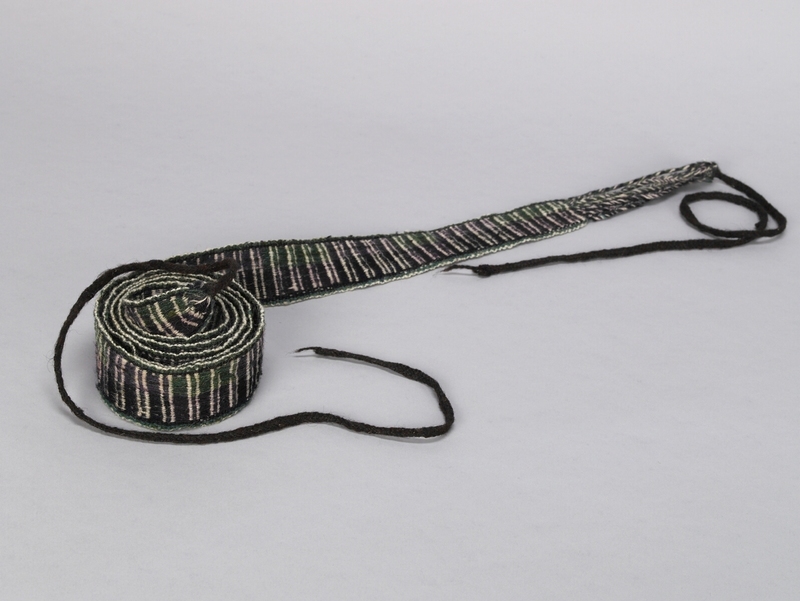 Warp-faced belt with while vertical stripes on a black, green and purple ground. 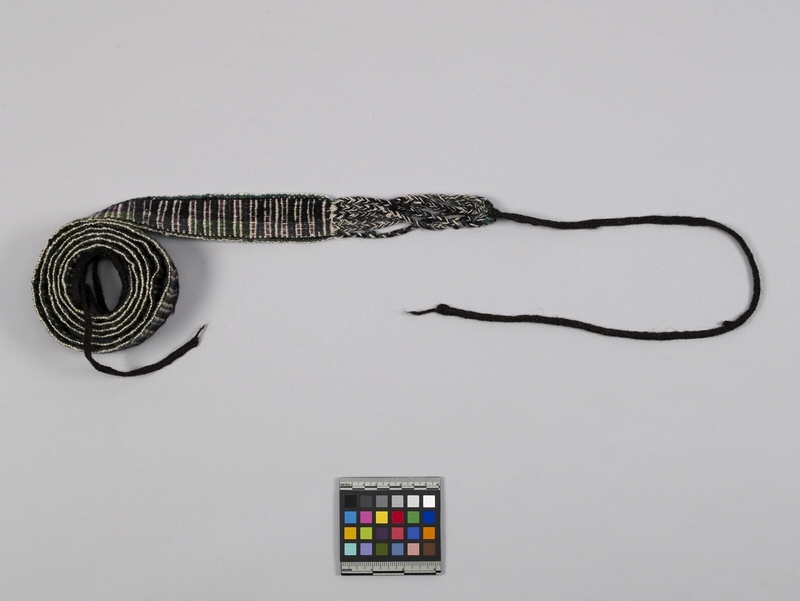 One end has braided strips and both ends have black braided ties. Wrapped continuously around the waist of the dress and aksu, ties are fastened together and tucked under the belt. Worn by women; mourning costume. sheep wool fibre, dye and alpaca wool fibre ? fibre, sheep wool dye fibre, alpaca wool ?